Jingle bells jingle bells jingle all the way, are you excited as Christmas is almost here? This is quite obvious, because all of us crave for Christmas reunion with our relatives and folks. It is the most celebrated event all around the globe when the festivities prolong till the New Year's night. If you're active your business on social media channels, then the Christmas season can be a great time to build your audience. Today I'm so happy to show you 10 Merry Christmas Facebook Cover Photos for Timeline, you can download it and edit to fit your requirements. Now, let's show your enthusiasm and euphoria for Christmas even on social networking sites and tell your friends how much you are overjoyed as Christmas 2019 is here. To see and download the Facebook Cover, please click on these photos. Magento Community Edition 2.3 released with hot new features. In order to help you catch the best themes, MagenTech team has worked hard to make our Magento 2 Themes to be compatible with latest Magento version. The following updated themes also include bug fixes for user's reported issues. Now, let's take a look at these themes and pick up your ones here. PrestaShop 1.7.4 released with many functional fixes and security enhancements. In order to help you catch the best themes, MagenTech team has worked hard to make our PrestaShop Themes to be compatible with latest PrestaShop version. Magento Community Edition 2.2.6 released with multiple security enhancements and bug fixes. 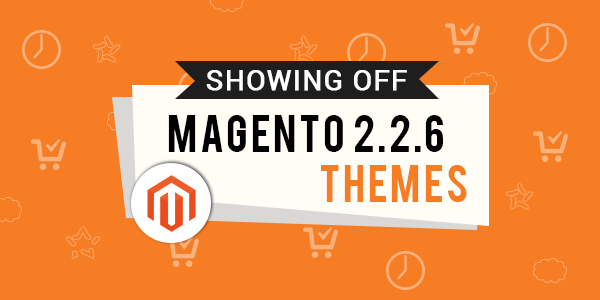 In order to help you catch the best themes, MagenTech team has worked hard to make our Magento 2 Themes to be compatible with latest Magento version. The following updated themes also include bug fixes for user's reported issues. Now, let's take a look at these themes and pick up your ones here. Magento Community Edition 2.2.5 released with multiple security enhancements and bug fixes. In order to help you catch the best themes, MagenTech team has worked hard to make our Magento 2 Themes to be compatible with latest Magento version. The following updated themes also include bug fixes for user's reported issues. Now, let's take a look at these themes and pick up your ones here.